The comment period for the Provo-Orem Bus Rapid Transit Environmental Assessment is over today. Please take a look at what the project proposes and email your comments to the project team: provo-oremrapidtrans@hwlochner.com. This is our last chance to comment in favor of features like bike lanes (or at least sharrows) on University Ave, HAWK signals for pedestrians, improving the University Parkway multi-use trail, etc. 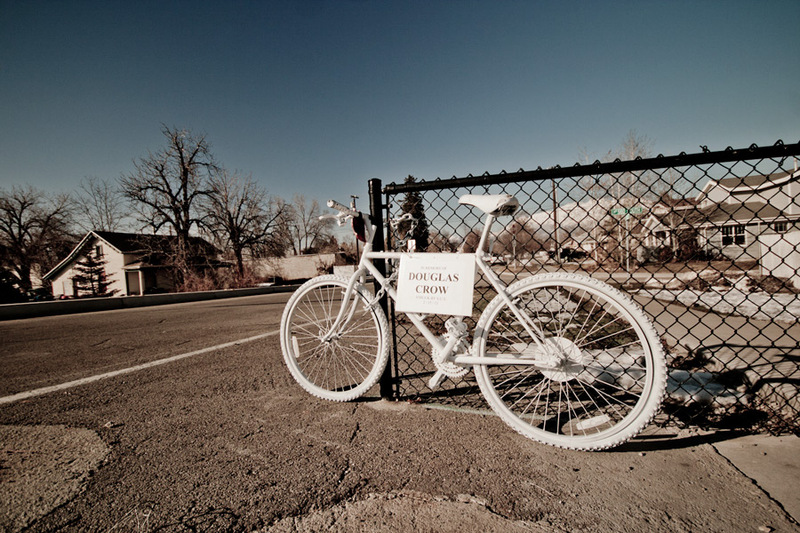 – Please consider bicycle and pedestrian infrastructure throughout the project. – Bicycle lanes on University Ave. would connect students to downtown and to the FrontRunner. This would make University Ave. a national example of a Complete Street and would put our city on the map as far as being transit-oriented, walkable, and bikable. 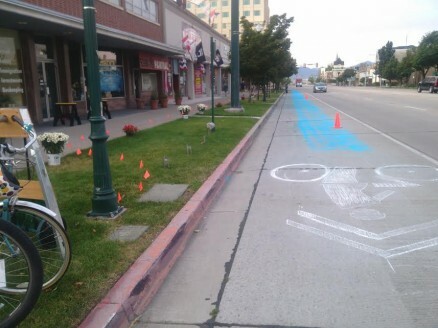 Bike lanes are possible by removing only a few parking spaces. Realize that people riding bicycles are currently able to take advantage of a wide shoulder. When the shoulder is eliminated, bikes will be pushed out into traffic. If bike lanes are absolutely impossible, please ensure that there are bike sharrows and “Share the Road” signage to encourage safety. – At many non-signalized crossings, pedestrians find crossing the street particularly dangerous. Please consider adding HAWK crossings at all non-signalized crosswalks along the route. – The multi-use path on University Parkway is a good example of the type of infrastructure choices we need to offer residents. Please make sure that the path is not compromised by the expansion of the road. Where possible, please take into account measures to improve the path’s safety and lighting. Overall, I believe the BRT project will be a major improvement to our community. Thank you for your dedication to this cause. For the last few years, the Provo Bicycle Collective has been an essential part of the local bicycling community. 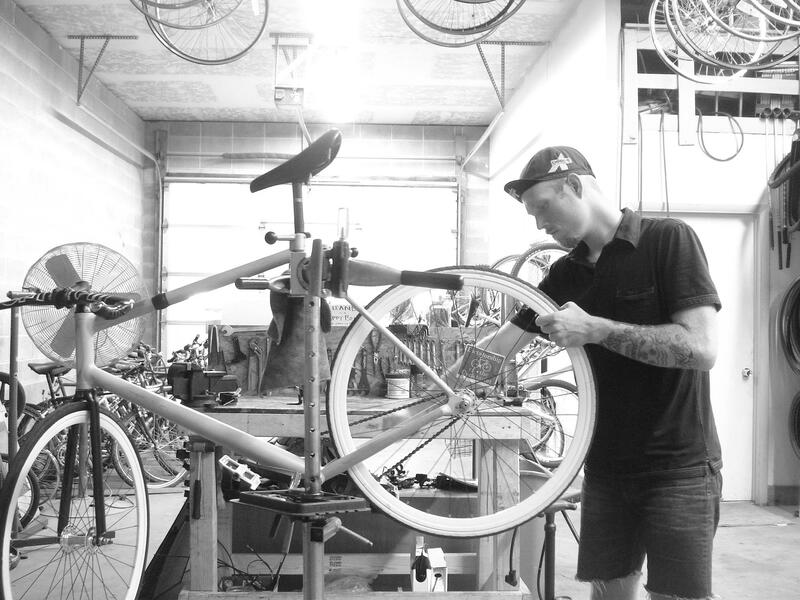 They’ve orchestrated free bicycle parking at the Farmer’s market, gone into our schools to help K-12 students build their own bikes, provided workshops for beginning cyclists, and (of course) offered a non-profit workshop for hundreds of residents to repair or build bicycles. But, they need our help. The collective is run by volunteers, receives no government funding, and is able to keep their doors open through donations from their patrons. However, the winter can be a particularly hard time for the little shop to survive. Can we all pitch in and donate what we can to help them keep providing these needful services to the community? 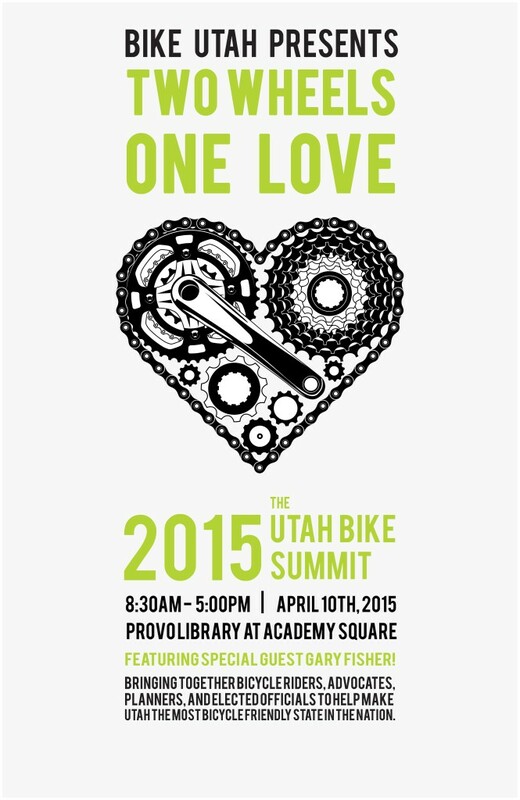 We love these guys…they’ve done so much for Provo so let’s show them that we care! Please make a donation on their GoFundMe page and spread the word. Video thanks to Trevor Christensen.